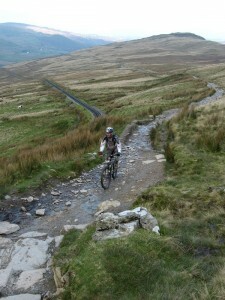 This 9.6 mile mountain bike route starts in Llanberis, in Snowdonia, and climbs the Llanberis Path to the summit of Snowdon before returning down the same track. 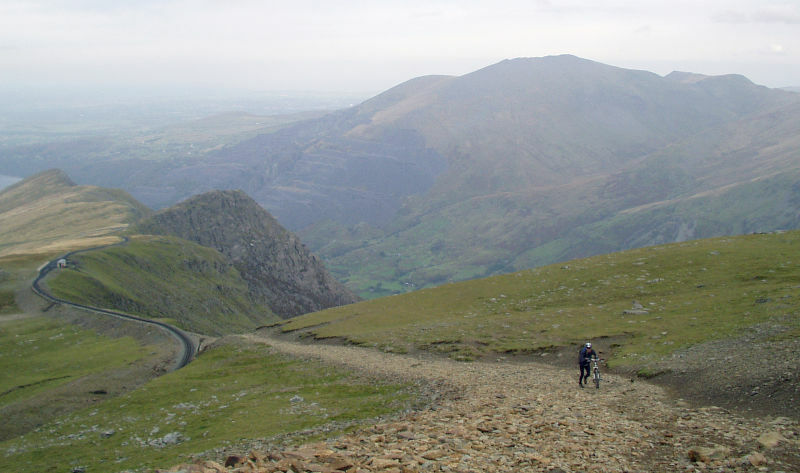 Before attempting this, or any of the other Snowdon routes, remember even though it is covered in tourists Snowdon is a big mountain, don’t be lulled into a false sense of security. 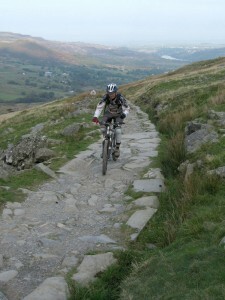 The majority of the riding is made up of steep, bouldery trials that will test your riding skills to the limit. The percentages on what is ridable are based on a very fit rider comfortable with Scottish level black runs. 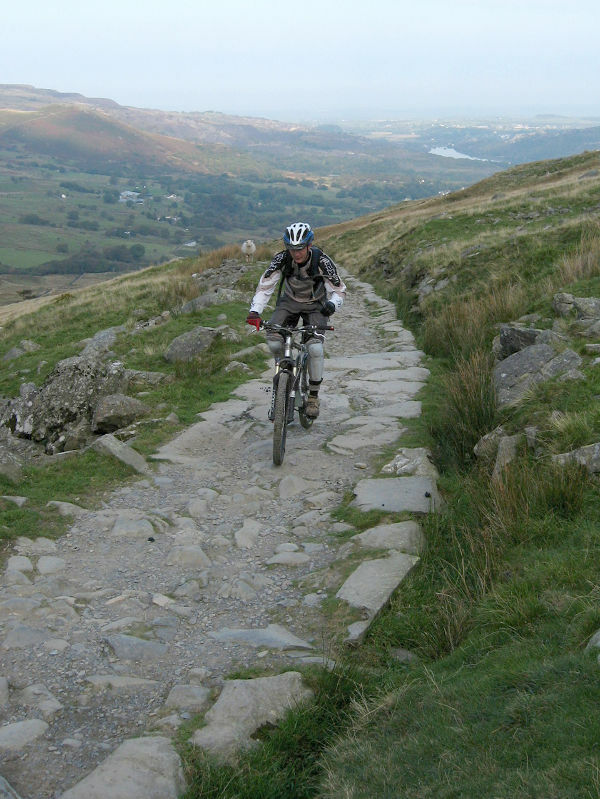 Whichever route you choose there will be a certain amount of hike-a-biking, so you must be happy with pushing and carrying your bike. 3. After the obligatory summit photos, taking in the views, and fighting past the crowds for a coffee the mountain has to be descended. 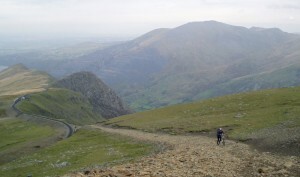 The descent is simply a case of following the Llanberis Path all the way back down the mountain, which has the benefit that you know what to expect. While it's 100% ridable it's a very technical prospect with big boulders, steep scree slopes, large rock steps and fast flowing sections to tackle. Make sure you have enough pressure in your tyres and decent brakes. There is definitely the potential for a loss of control at high speed so brake fade is the last thing you want. It is also a popular place with walkers so it’s best to find a time when foot traffic is light or you could be slowing down every 10 meters. At the end of the Llanberis Path go through the gate to the junction with the lane (GR581589). 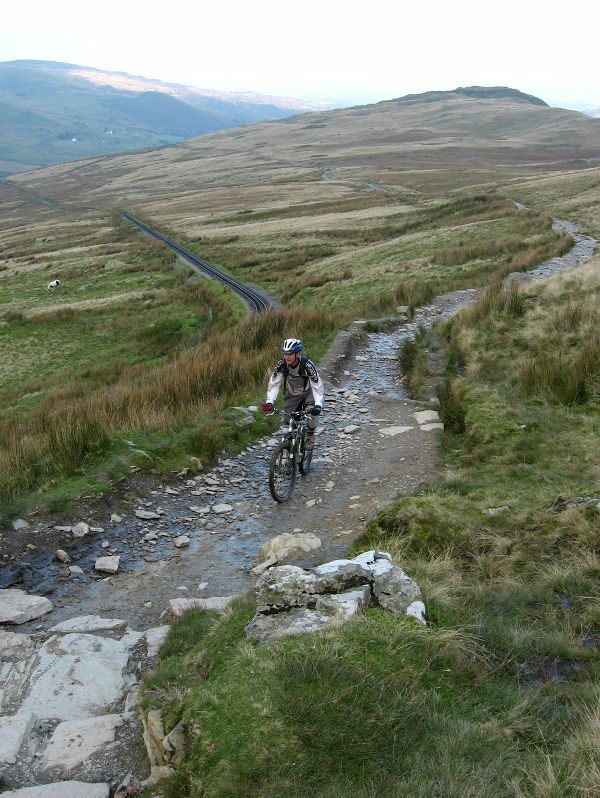 Turn right and return along the outward route back to the car park next to the Electric Mountain visitor centre to complete the ride.